Mister Bailey received a parcel from Pawsome yesterday and he loved the things inside even more than the cardboard box itself. And he loves cardboard boxes more than most things. Apart from food. Food is his favourite. Shortly followed by squeaky toys. Needless to say the squeaky piggy has been the biggest hit. I'm not sure that it's my favourite because I'm almost certain you would be able to hear the squeak from space. But he loves it, so I've promised I won't hide it from him all the time. Just when I need to work. Or want to watch TV. Or need to sleep. I'm not sure he's too thrilled about the ear cleansing lotion, but it smells really nice (mint & rosemary) and I'm sure if I give him a few of the sushi treats post ear cleaning he'll forgive me quickly. He always looks so betrayed whenever it's ear cleaning time. Although not as betrayed as the time he wasn't feeling too great and a thermometer was placed somewhere he'd rather it not have been placed when we got to the vets. The bone is going to be his weekend treat and he's been looking at his treat cupboard door since I put it in there, so I think he's pretty excited about it! Thanks Pawsome! 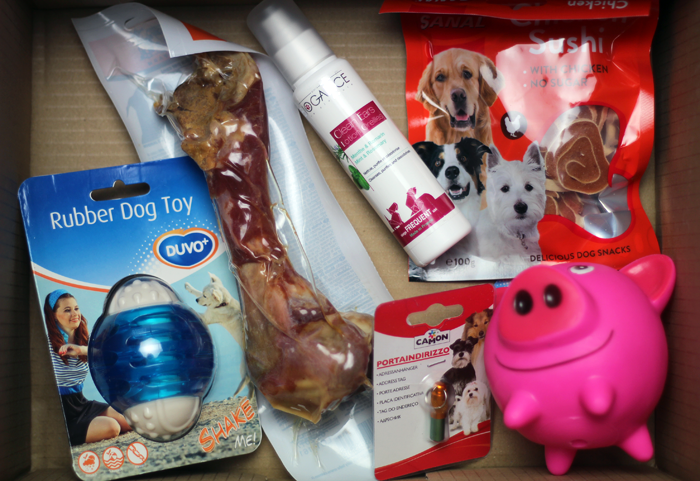 Would you subscribe to a monthly goodie box for your pooch? I got the cat version for my pusscat Percy this month and he was pretty impressed. You know, as impressed as a cat can get haha. Oh my gosh! That is adorable - I'd love something like that for my cat as a nice little treat each month. Aww, Mister Bailey is such a cutie! 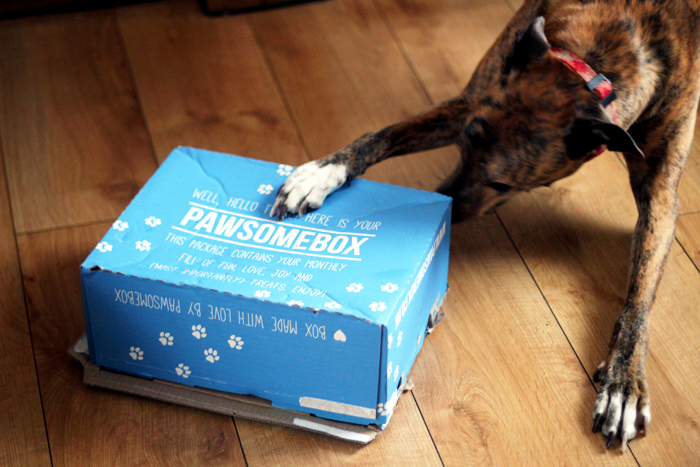 I think monthly treat boxes for your pets are such a good idea - they're part of the family, so why not treat them too? It's also a great way to try out new products you maybe otherwise wouldn't find in the shops. I love love love the idea of this, but my little dog would be way to small for half the treats! He looks so happy with the squeaky piggy, I can imagine how annoying it could be though! Such a cute box! 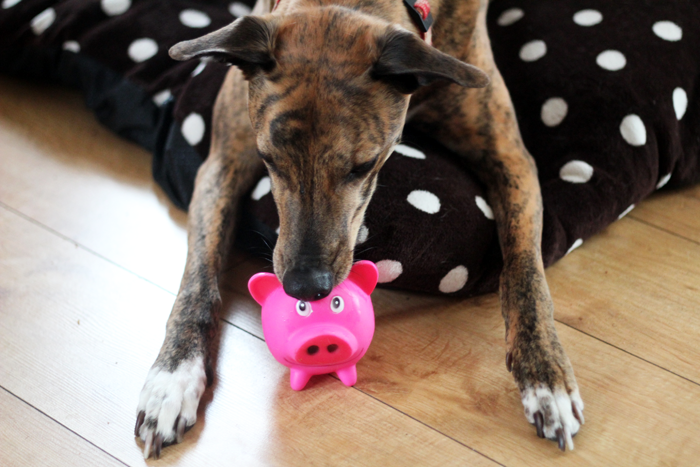 I can totally understand how you would get annoyed by the squeeky sound; but the piggy is cute!